Key West has legendary sunsets, with the sky putting on a full display of glowing orange, pink, yellow and red every evening. And what better way to watch the show than from your dinner table? Order a drink and enjoy this sensory experience, where your meal comes with a spectacular view. 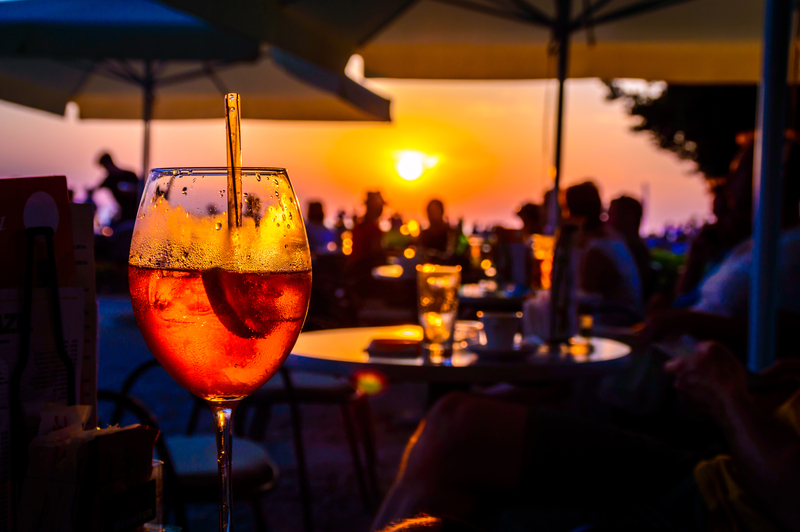 Here are some of the best sunset restaurants. Pepe’s not only offers a beautiful view but brings you up close and personal with one of the island’s other great sunset spots: Mallory Square. Complete with local characters, street performers and live music, the nightly sunset celebration is something you have to experience at least once during your stay. Pepés has tasty Cuban-style cuisine and the perfect mojito for watching the sun go down. 410 Wall St.
Get down to this harborside favorite and request a table by the dock, where you can see the sunset and also throw your shrimp shells over the railing to the fish. They offer oysters on the half shell along with other finger foods like coconut shrimp, fried calamari and onion rings. There are also plenty of seafood-based dinner options. It’s a local favorite. 231 Margaret St.
Schooner’s is a funky Key West tradition that just seems to get better with age. With a relaxed, casual vibe, you’ll find good food like mahi sandwiches, tuna nachos and conch fritters, as well as creative drinks like their painkiller and the dark and stormy. There’s also live music every evening. Ask for a table up on the roof. 202 William St. Right on the beach on the Atlantic end of Duval St., the Southernmost Beach Cafe offers a full menu including items like a Cuban egg roll appetizer as well as lobster, chicken and steak options. Visitors rave about their rum runners and margaritas. This is your chance to dine with your toes in the sand as you admire the Key West sunset from the southernmost point of the United States. 1405 Duval St.
No sunset restaurant roundup would be complete without the iconic Latitudes restaurant. Reserve in advance and enjoy the included boat ride out to Sunset Key. There you can select from a luxe menu of duck, snapper, shrimp, lobster bisque, surf and turf, and much more. The historic property is surrounded by lush greenery, and it’s the perfect place for a romantic, memorable dinner on the island. The sunset is the icing on the cake. Book your stay at 24 North and look forward to every colorful evening on Key West. Our special offers will have you on your way to paradise in no time at all.